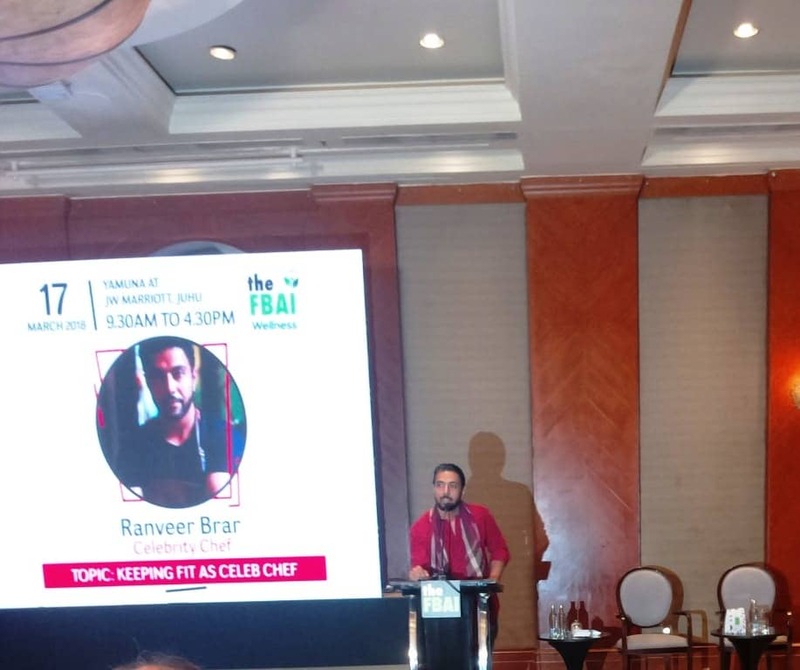 In this world of rat race, intentionally or unintentionally we learnt to ignore some of the precious advice of the elders regarding our health ,causing our health to be heavily compromised and leading a momentary superficial, so called happy life with immense stress.The #wellness conference by FBAI on 17th March 2018, in collaboration with Vikhroli Cucina, Godrej Natures Basket And California Walnuts , and Godrej protekct which I am extremely fortunate and happy to be a part of gave us insight to the secret of good health and a happy life. Renowned celebrities ,famous personalities and leaders in the respective domains of nutrition and health shared their invaluable experience and health tips breaking so many myths and false notions about attaining good health.I was also delighted to hear some remarkable advice for the moms about feeding our kids healthy and nutritious food. 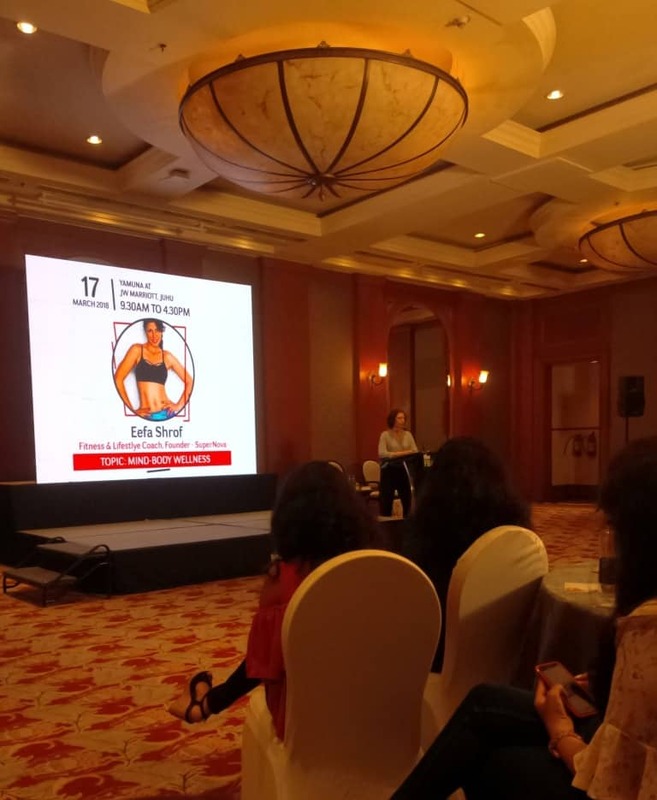 The conference kick started with power yoga in the tunes of Bollywood hits,by Bijal Joshi and her team and all the participants of the conference eventually joined with energy and enthusiasm. The celebrity chef advised everyone to eat seasonal and eat local .He also spoke about contributing to the society ,our farmers and our nation ,by being conscious during consuming food products.By buying directly from the farmers market and eating seasonal vegetables ,we help the farmers to prosper ,which is vital to the Nation’s prosperity. 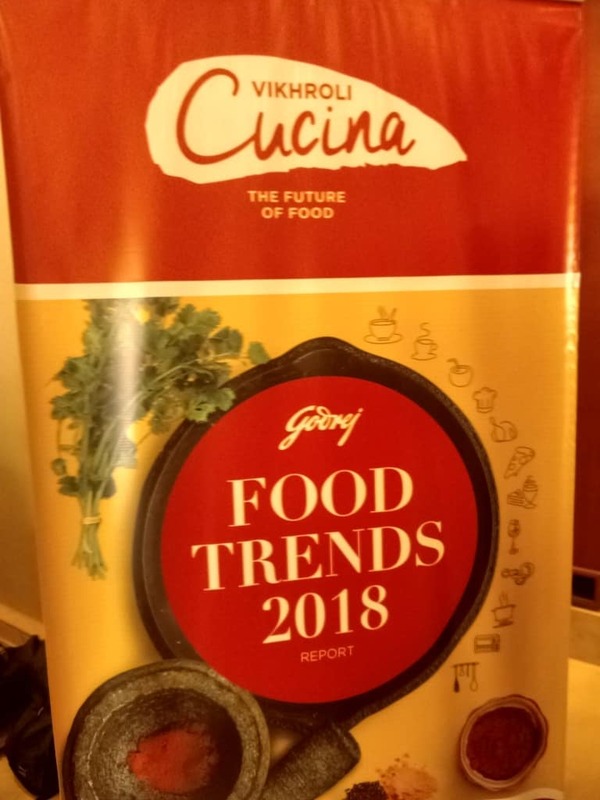 CN Nageshwaran, Corporate Communications, Godrej Industries Ltd. gave a talk about the food predictions of the year . 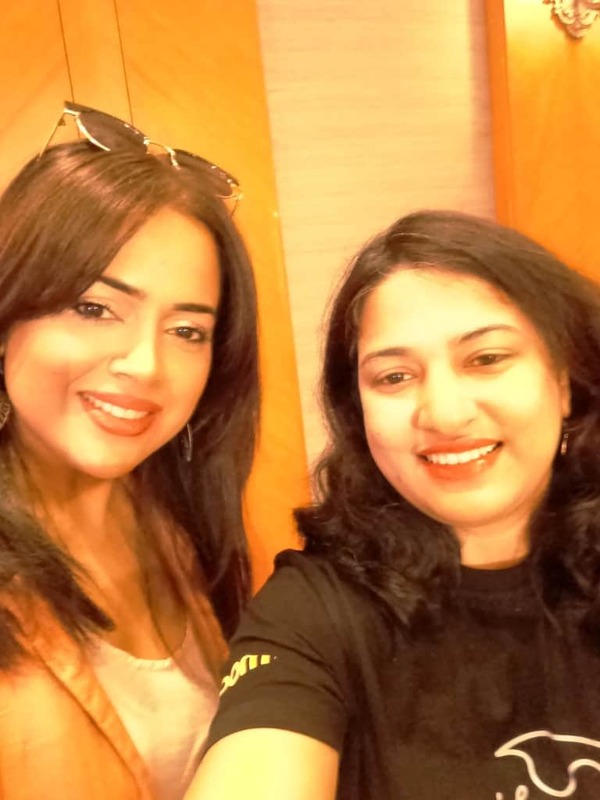 Celebrity nutritionist Tripti Gupta spoke about the benefits of walnuts,and health tips on how it is excellent for brain development and a very portable healthy snacks . 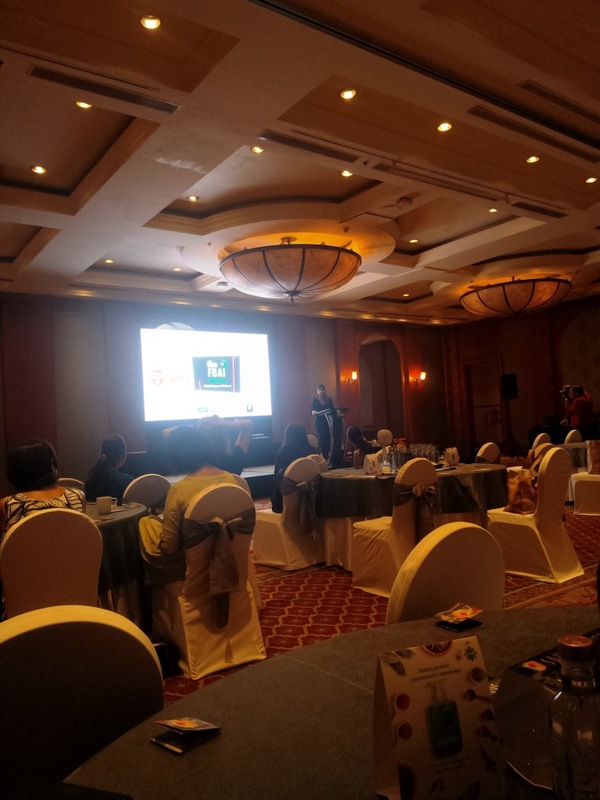 Anuj Goyal the marketing head of Godrej protect spoke about “Godrej protect,Hand sanitizer” whose tagline is “Tough on germs and soft on hands“.The product helps to maintain hygiene while enjoying delicious Street food in India and is manufactured from eco-friendly natural products. The renowned nutritionist’s talk was interesting with stories from her real life experiences.She spoke about ancient Ayurveda and emphasized on eating Sattvik food. Sattvik food which consists of vegetables,adequate spices and not overcooked ingredients, is best for the health of body and the mind. She also gave health tips and spoke about how food can control mood of an individual and even capable of inducing criminal behavior. The following points can be summarized from her wonderful talk. One should lead a simple lifestyle. One fruit a day is compulsory. Probiotics like milk,curd and pickles should be consumed ,during the day. After sunset ,the body craves for food,so one should have a early dinner,otherwise there is a chance of binge eating during the evening. Some healthy evening snacks should be kept ready for the kids during the evening. One should avoid fried food,junk food,caffeine ,alcohol and sugar as much as possible. “Follow your ecosystem“,she informs,as some food which may be good in the Western countries may not be suitable for our body. “70% of the earth and body is water,so to keep the balance in the body ,one should drink sufficient water”,she advised. Fruits and dried fruits should be eaten as snacks to get instant energy and among the nuts cashew-nuts are the lowest in fat. Our ancients superfoods like flax seeds and linseeds should be incorporated in the diet. The celebrity chef ,stated the importance of diet and controlled eating for “Wellness and longevity”.He also believes in traditional “nuskas”( tips and tricks) which are passed on to generations for leading a healthy life and expresses his desire to document them after adequate research. 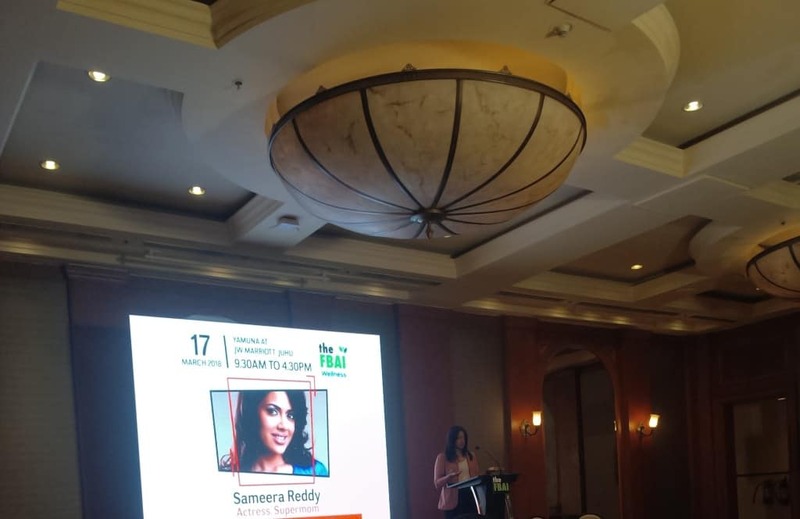 The popular actress Sameera Reddy ,gave an insight on how to feed our kids .She emphasized on understanding the reason behind the hunger ,which can be physical or emotional hunger.She requested the moms to trust on the kid’s instinct when they feel full and not to force them to overeat. Kunal Vijaykar ,the famous TV personality ,stated “Eating healthy is eating less“,he emphasized on cutting down portions. 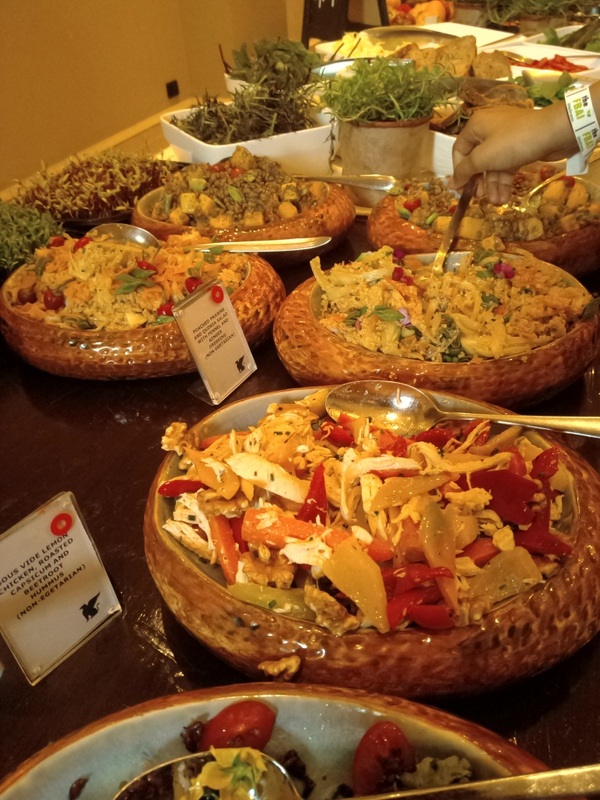 Mira Manek, the author of “Saffron soul” ,highlighted about balancing food with exercise and discipline ,and narrated her experience with Indian spices and vegetables which she considers as extremely healthy. Payel Kothari,Nutritionist and health coach ,stated that “Balanced meal is a rainbow of food and vegetables,All individuals are different ,so the diets will also be different“.She also spoke about changing the posture,consciously using words and journal-ling manifestations for a healthy mind and a fit body. Tara Mahadevan,The nutrition and Weight loss psychologist ,requested the audience to understand the type of hunger ,whether the hunger is physical or emotional and then act accordingly. 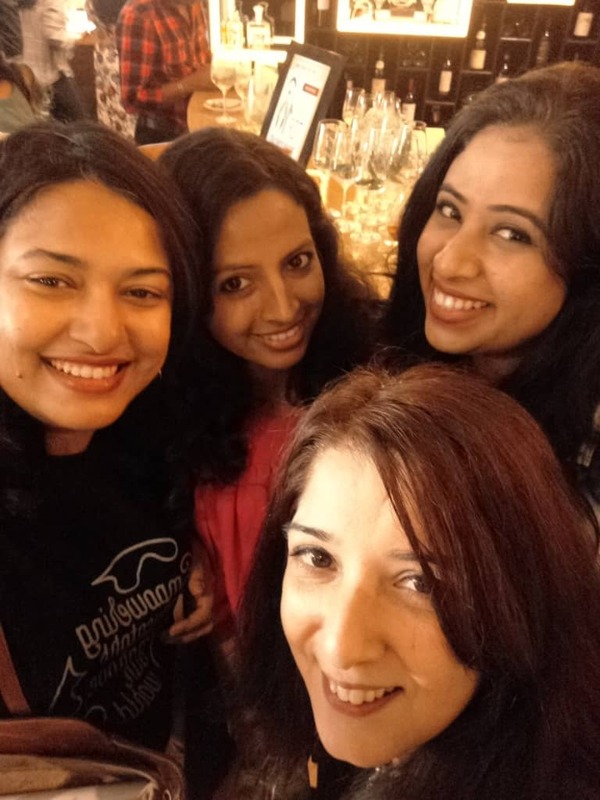 The panel consisted of Saloni Malkani, Co-founder, FBAI,who was the moderator , Kalyan Karmakar, Food Writer and Blogger ,Smita Deo, Author and Blogger and Vaishali Shah, Lead Designer, Godrej Interio. They spoke about the modern kitchen and how lighting has become essential in the kitchen,to take good photographs ,as well as open kitchen space integrated with the dining helps to interact with the guests and the family members even during cooking. Kalyan Karmakar, asserted “Kitchen defines who you are ” and how the kitchen furniture and decor are very personal and defines the individuality of the family members. Smita Deo narrated her personal experience how she refurbished her kitchen to give a modern stylish look. 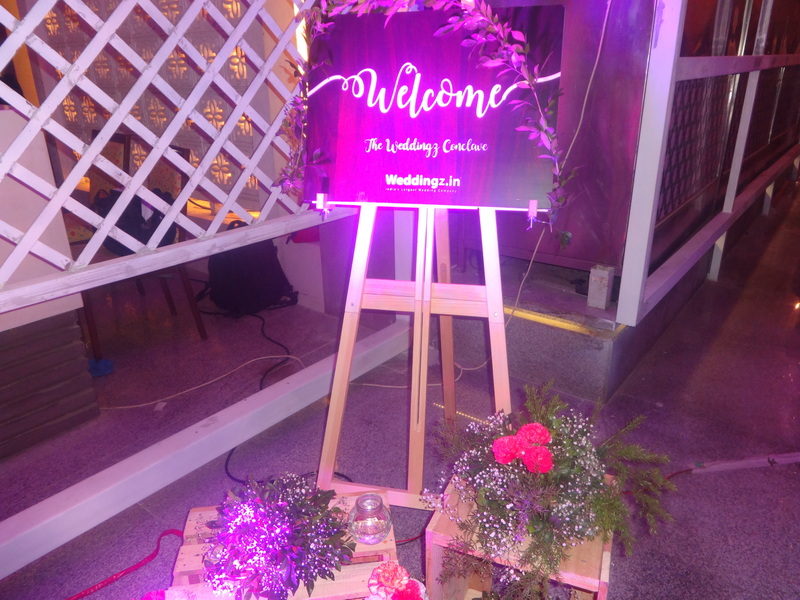 Vaishali Lahoti Shah ,the designer explained the latest trends ,how kitchen has become more a social space where family can spend value time with each other and their friends. The renowned talented Italian Chef Davide Cananzi spoke about the five components of food to include in the meal ,Vegetables,legumes,fruits,meat and tofu.He also emphasized on consuming organic ingredients and healthy oil like olive oil,canola oil and rice bran oil.He also advised to cut down on the meat content in the meal. The talented actress and founder of TM Media,spoke about her journey from films to fitness and spiritualism.To gain good health cutting down on sugar is necessary,she said.She also gave the recipe of a after workout smoothie with oats,green juice,cucumber and lime . 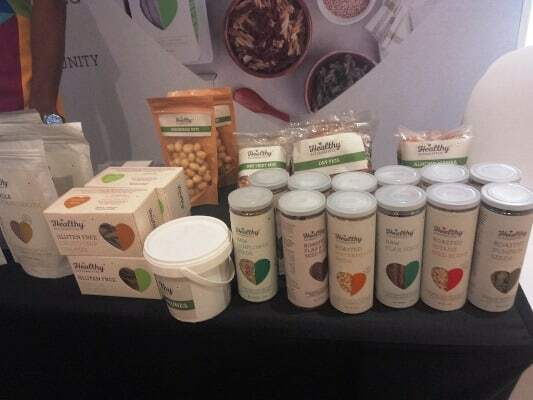 Rushina Munshaw Ghildiyal food write and consultant ,advised to focus on the local ingredients and ancient grains.We should go for our traditional diet instead of adopting Paleo or Keto diets which are for different eco-system. 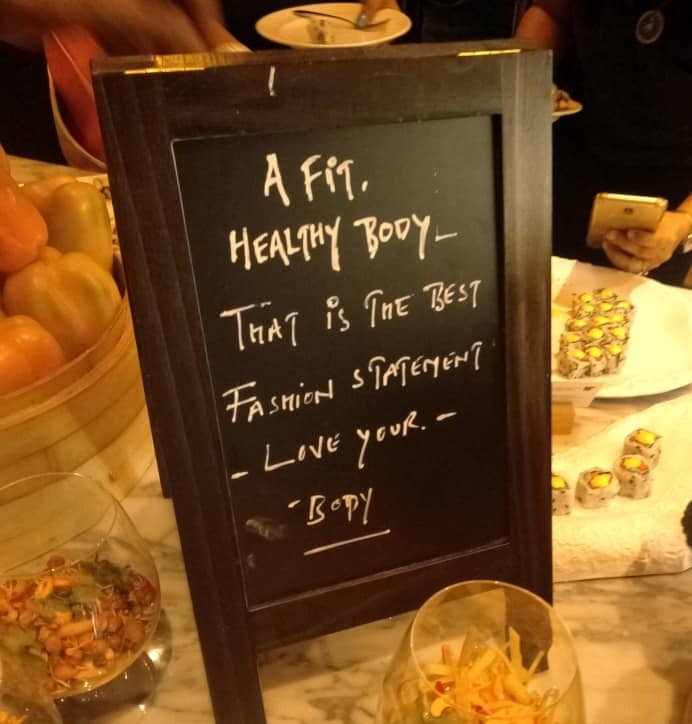 There was also the Fitness blogger and Founder of RisquebyAnaDe, Anandita De, who gave a motivational talk about weight loss and workouts with Nikhila Palat, CEO, Katalyst Reputation Management.There was lifestyle coach Eefa Shroff who talked about cardio-vascular balance and the importance of following a diet sincerely.The nutrition therapist, Rachna chhachhi advised to consume good fats,nuts and keep 1/2 of the plate filled with raw food.Finally with a zumba session from Jiggnya A Johri,this exciting conference came to an end with a brunch buffet at Dashanzi.